Of those on the list of featured “experts” I recognized a few as obvious charlatans, such as Joel Osteen, a popular televangelist, but also a few respectable scholars, such as Candida Moss and Mark Goodacre [and Robert Cargill]. Regardless, this gets at something that I think is extremely important. One of the biggest problems with the popular understanding of Christian origins today stems from the fact that theologians are passed-off in our society as historians, which they are not. I believe that programs like this, which have been common in America for about thirty or forty years now, play a key role in presenting theologians as historians. Many people, especially in America, have the impression that theologians, people with doctorates in theology or divinity, are appropriate “experts” in the history of early Christianity. This is not the case. Some theologians, like Professor Moss, may produce some respectable historical scholarship and may engage in appropriate historical analysis, but a degree in theology does not provide one with a background in historical studies or methodologies. A degree in theology or divinity is not a credential in history. The primary thing that theology programs teach regarding history is how to read ancient languages, but other than that, theology and divinity degrees focus on teaching Christian perspectives on the texts of the Bible, Christian thought, and stuff like social justice, leadership, and how to engage in communities, etc. A theology or divinity program is not at all a program that provides broad knowledge of ancient history, or insight into ancient Greek, Roman, or even Jewish culture. Theologians are not historians. Theologians are not experts on the origins of Christianity. Theologians are not experts on “the life of Jesus”. Theologians are experts on Christian beliefs and on the Christian way to interpret the Bible, that is all. If a Christian theologian does obtain some grasp of real history and does engage in real historical research, like Candida Moss does, that’s all well and good, but that expertise does not come from having a theology degree. A theologian engaging in history is, at best, no different than a physicist or mathematician or biologist who engages in history. They may well produce valid historical research and analysis, but it's not a product of their credentials. Okay, soapbox aside, let’s get on to the show, which had over 2 million viewers on its opening night. Oh yes, it’s as bad as I thought it was going to be... No. Correction. It’s worse. The program is straight-up Christian propaganda. There is no critical assessment of any facts [minor critical review of minor points]. What the program delivers is exactly what you would hear in a church during a Christmas or Easter service. What we get is a highly polished dramatization of a literal and completely [largely] uncritical reading of the Gospels. But the program goes beyond what we find in the Gospels to fill in additional “details” based on... pure speculation. Ironically, the program opens with one of the most accurate statements of the series, stating that the story of Jesus is, “the greatest story ever told.” This much is true, the story of Jesus is certainly “a story,” and it is indeed the most influential fictional story ever told. We are told that the massacre of the innocents may be symbolic ["doesn't appear to be historical"], but as the dramatic enactment plays out Ben Witherington comes on to assure us again that Herod did, “all kinds of things like this,” and that it shouldn’t be dismissed. And regardless, we are told, Herod certainly felt personally threatened by the baby Jesus. The second episode focuses on John the Baptist. All manner of speculation (though not presented as speculation) is provided about John the Baptist: his background, his personality, his beliefs, etc. In fact, we know nothing meaningful about John the Baptist. We have a few lines about him in the Gospels and a very brief mention of him in the works of Josephus and that’s it. There is no real knowledge of what he preached, or anything really about him. We’re told that John the Baptist was probably Jesus’ mentor and that they had a relationship. This is all just fabrication. There is no account of anything like that. We are told that Jesus isn’t what John the Baptist expected, because John was expecting a fiery apocalyptic messiah, but Jesus is a man preaching peace and love. Nevertheless, John the Baptist comes to terms with the fact that Jesus is the messiah. Again, this is all just entirely made up. This is all very interesting, because we are provided with no information about the symbolic nature of John’s killing in the Gospel story. In fact, John the Baptist is a character based on the Jewish prophet Elijah. The fact that John the Baptist is supposed to symbolize Elijah is one of the clearest and most certain allusions in the Gospels. Every aspect of how John the Baptist is described and everything that he does is all drawn directly from stories about Elijah. The killing of John the Baptist by Herod at the urging of his wife is directly patterned on the plot to kill Elijah by King Ahab’s wife Jezebel from the story in 1 Kings. The relationship between John the Baptist and Elijah, and the fact that the killing of John is patterned on the plot to kill Elijah, is well known among biblical scholars, so the fact that they don’t even raise this issue at all in an episode entirely devoted to John the Baptist is inexcusable. It really shows that the program has not even the slightest interest in providing an understanding of the Gospels and is really nothing more than just pure Christian propaganda. Of course, there is no context provided about the fact that it was very common in ancient literature to fabricate stories about the youth of well-known figures, typically showing them engaged in some actions that foreshadow their future greatness. Even if one were to presume that Jesus was a real person who became great there is every reason to recognize that this account from Luke is entirely fabricated. That this issue wasn’t even raised, but in fact every effort was made to legitimize the narrative, is again a clear indicator this this program has no interest whatsoever in history and is just pure religious propaganda. After this we are old by Ben Witherington that the next time we “know for sure” that Jesus saw his mother Mary was at the wedding in Cana. The idea that we know anything “for sure” about Jesus is of course absurd, but this is a particularly absurd claim because the story of the wedding at Cana only exists in the Gospel of John. This fact is not mentioned in the program. It is at the wedding in Cana that Jesus famously turns water into wine, which is described in the program as the first miracle of Jesus. We’re then giving some account of Jesus returning to his home town where he “reads” from the scriptures a passage that implies he is the Messiah. This then causes an uproar and leads to his rejection. This account comes from Luke, and essentially builds on a much simpler account of Jesus being rejected by his family in his home town that comes from the Gospel of Mark. The irony of this passage is that, while the Jesus of the Gospels is clearly portrayed as someone who would had to have been literate, this scene in Luke is the only scene that explicitly states that Jesus could read. But this, of course, raises a huge question (that is not addressed in the program), which is that if Jesus could read then he of course could also write, so why then wouldn’t such a person have left any written record of himself? We’re then told that Jesus’ revealing himself as the Messiah in Nazareth put the whole region in peril because the Romans were ruthless dictators who were quick to destroy any potential opposition to their power. And we are told that Jesus’ ministry was a very clear threat to the power of Rome. This is all nonsense. There is no indication that Rome had any knowledge of Jesus or that they would have cared about some wandering prophet even if they did. Indeed, we know that there were many people at this time wandering around talking about the End of Days, foretelling the end of Roman power, etc., and most such people were just regarded as annoying cranks. The whole episode ends up overemphasizing the role of Mary and Jesus’ family, presenting it as if they were involved with him and his activities throughout his ministry, when in fact Jesus’ family plays essentially no role at all in the Gospel stories. Well, three episodes is about all I can stomach of this show, because it’s clearly not even worth the time to address. I haven’t seen Candida Moss yet. I was very eager to see what she would have to say, as I regard her as the most credible scholar of those associated with the program. Mark Goodacre made a few non-controversial statements. I can’t really fault anything Professor Goodacre had to say in the show, but feel that his association with the program is regrettable as I think it’s below the level of scholarship that he tends to aspire to. The final episode, which is of course about the crucifixion, airs on Monday April 15th. I’ll endeavor to review that episode as well some time next week. 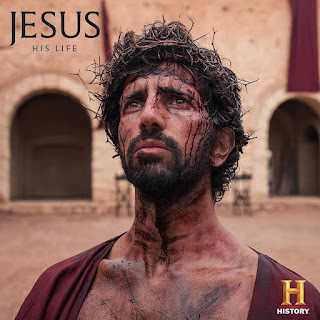 The bigger point here, and the reason that I bothered reviewing this program, is that this is the type of material that drives public perception of our knowledge of Jesus. It’s not the academic publications or hard-core biblical scholarship, it’s programs like this that lead people to believe that our knowledge of Jesus is far more reliable, clear and certain than what it really is. As it turns out, this program doesn’t even present poor scholarship, it just presents outright propaganda and church doctrine as fact.